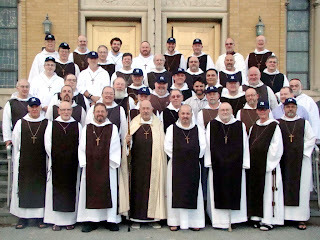 I've returned from the Brotherhood of St Gregory Annual Convocation. I have to report that there was an outbreak of Yankee Fever, symptoms of which are evident in the photo above. As can be seen in the picture below, efforts were made to quarantine those with presenting symptoms. Unfortunately, all of them — including your servant — were sent home at the end of the Convocation, carrying the Fever as far as Australia. Oh, dear, that is bad. And it looks like a hopeless case. Were the Boston brothers in quarantine? Then again, I suppose they had already been vaccinated. I see Bro. Augustine next to you, Tobias. He must be very serious about the Yankees, bein' from Chicago an' all. I suppose that it would be inappropriate to point out the cute ones and inquire to their availability. Welcome back, Tobias. I've looked and looked for you in the top picture, and I can't find you. I see James, but where are you? I see you are winking at us with both eyes in the bottom photo. You are such a flirt. Mimi, I was taking the upper picture, loaning my hat to James, who missed out on the chapeaux distribution. Thanks, Tobias. I thought I was going crazy. I certainly hope there were some Red Sox fans among you! wcat, indeed there were, and they suffered a severe allergic reaction to exposure to the hats! I assume that once the fever is allowed to fester, hope of recovery is lost. As I understand it, there is no cure, but there is therapy. 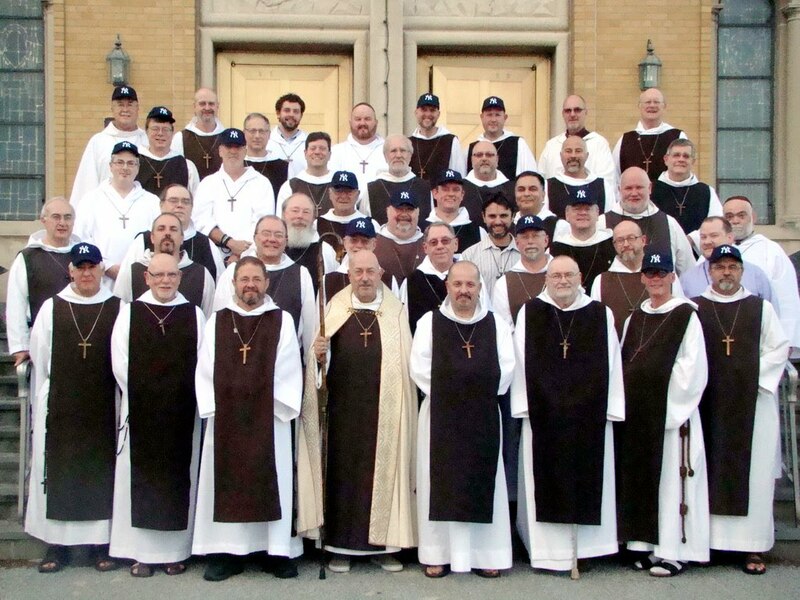 Wot, no Cardinals hats jokes?